Today’s guest blog is from author Dan James who also writes crime novels under the name of Dan Waddell. 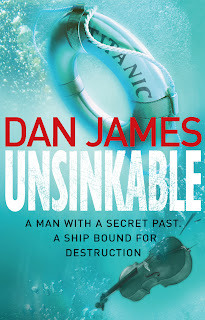 With 2012 marking the centenary of the Titanic Dan James has written a blog post for Shots about his obsession with the Titanic. The sinking of Titanic has always intrigued me. I can narrow this down to two reasons: the first, a morbid fascination with cataclysmic events and disasters both natural and man-made. The same prurience that led me to become a newspaper reporter. The second stems from a childhood memory of a rare afternoon off school, feeling ill, lolling on the sofa, when A Night to Remember came on, the film adaptation of Walter Lord’s classic work of non-fiction. I was mesmerised. It remains the best and most moving depiction of the tragedy, superior to James Cameron’s multi million dollar effects laden epic, even though the most expensive item in the budget was probably Kenneth Moore’s chunky woollen fisherman’s sweater. The thought occurred to me then, and still occurs to me now: how would I have coped if I had been on the ship? The Titanic is a human tragedy above all else, despite the obvious myths, metaphors and controversies that still surround it. More than 1500 people died, and many of those knew as they stood in the middle of the freezing ocean, as the last lifeboat left, and the ship’s list became more and more precipitous, that they would die. I think we can’t help but put ourselves in their place and wonder how we might react. Would we accept our death stoically, as many did, or at least until they hit the water? Or would we have done more to save ourselves? That was the starting point for Unsinkable; a chance to get inside the head of the people on board and try to understand what it might have been like to endure the sinking, which few of the countless non-fiction books written about the disaster deal with. I had also been toying with the idea of a series of thrillers set against a backdrop of real events, and I made a list of those that intrigued me. Titanic was on it, and as the centenary was approaching it seemed the best and most appropriate one to start with. But I also needed a plot. After all, in the end the ship sinks, everyone knows that, though that inevitability, looming at the edge of the reader’s horizon, like the iceberg itself, creates a tension of its own. But I needed something else. I went back to my list of events. Also on it was The Siege of Sidney Street in 1910. Peter the Painter, the man purportedly behind the murders of three policemen, which led directly to the siege, was never found, despite the biggest manhunt in British police history – even in the 1950s he remained Britain’s most wanted man. Some have doubted whether Peter ever existed, like some Keyser Soze of the Gilded Age. There were various sightings and reports, none of which proved fruitful. In 1912 it was reported he might be in America…the same year Titanic set sail and sank. I had my plot; a chance to tell a thrilling, vivid story on board a doomed ship, give an indication of what it might be like to have been caught up in the tragedy, and pontificate on the fate of one Britain’s most notorious villains. Finally, I choose to write the book behind a pseudonym. The books are a departure from my crime novels, I hope to follow them with some more (as I hope there will be many more ‘Dan Waddell) and I have a different publisher, so it made sense to write them under another name. After all, these are challenging times for authors, and, like criminals, having multiple identities is no bad thing. 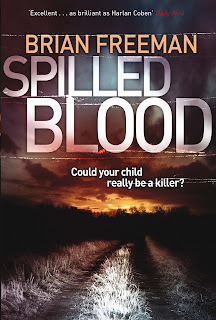 Thriller writer Brian Freeman’s latest book to be published is Spilled Blood (Quercus) on his recent visit to the UK he took time out to kindly write a blog post for SHOTS to talk about Spilled Blood and where the idea for the story came from. 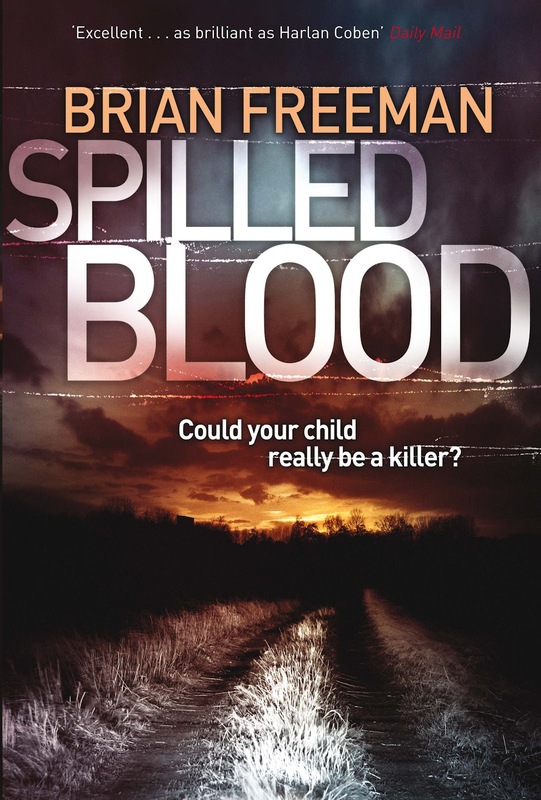 You won’t find any serial killers in my book SPILLED BLOOD. You won’t find any super-heroes either. The book begins in a Depression-era ghost town amid dirt roads and flooded corn fields, where two teenage girls confront each other in a twisted game of Russian roulette. They’re both lonely, both desperate. They’re both driven by passion and loss. By the morning, one will be dead, and the other will be in jail for murder. It’s a story of ordinary people pushed to the limits of their emotions. That’s my brand of psychological suspense. I remember an incident from years ago that shaped the kinds of stories I tell. I had lunch with a colleague and friend who confessed something remarkable: years earlier, her daughter had been kidnapped by her ex-husband, and she hadn’t seen her child since then. The private investigator she’d hired had recently re-discovered her daughter, and they were going to be reunited that weekend for the first time. I’ve always remembered that story, because it taught me a lesson I’ve learned over and over since then. All you have to do is scratch the surface with ordinary people, and you find amazing stories: stories of hope, tragedy, suffering, grief, faith, and despair. What I’m trying to do in my novels is create suspense out of those stories, where the drama arises out of the emotions, secrets, and sexuality of real, flawed, human characters. That’s what SPILLED BLOOD is about. At the heart of the novel is a feud between two rural towns arising out of a chemical works that has brought economic fortune to one town and, seemingly, death and loss for another. The feud, spinning out of control, has deadly consequences. Most of the characters are driven across terrible lines by the need for justice and revenge, in ways that resonate for all of us. There are few “right” and “wrong” issues in this book; everything is blurred in shades of grey, forcing the readers to put themselves in the shoes of the characters and ask what choices they would have made in the same circumstances. Super-heroes? Super-villains? No. I hope that’s what makes the novel truly shocking, because the people who face this struggle are no different from you and me. It’s not suspense that comes from outside; it’s suspense from the inside out, driven by the struggles inside each character’s head and heart. More information on Brian and his books can be found on his website. You can also follow him on Facebook. Crime fans have the chance to win a pair of weekend passes to CrimeFest 2012 (24-27 May, Bristol, UK) by entering a new flash fiction contest, Flashbang. It's free to enter and gives eight lucky writers the chance to be published on websites read by crime buffs the world over. Bestselling author Zoë Sharp will pick winners and runners-up. CrimeFest is celebrating five years as one of the most popular dates in the crime calendar, attracting authors, readers, reviewers, publishers and agents from around the world. This year’s headliners include P.D. James, Lee Child, Jeffrey Deaver and Frederick Forsyth. A full programme is here. Write an original crime story in 150 words (or less) and you could be part of the fun and games. DJ Taylor talks about "Writing The Thirties"
Today’s guest blog is by D J Taylor. A critic and reviewer his journalistic work can be found in the Independent and the Independent on Sunday, the Guardian, The Tablet, the Spectator, the New Statesman and, anonymously, in Private Eye. 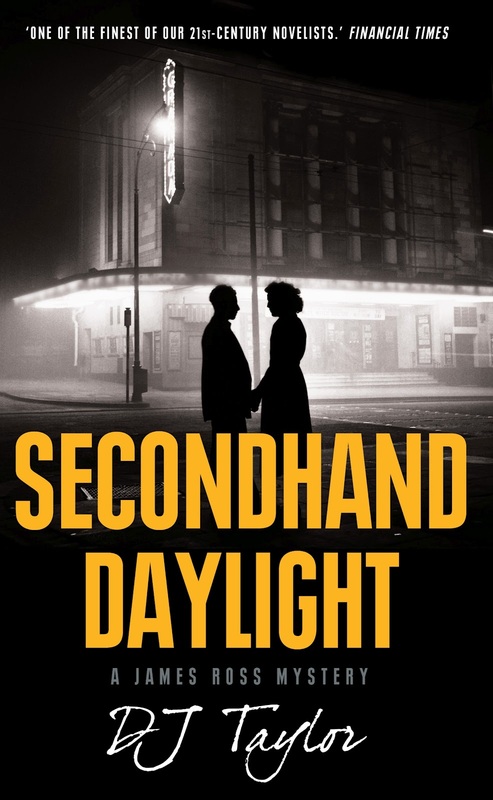 His recently published novel Secondhand Daylight is the sequel to his novel At the Chime of a City Clock and once again features James Ross. He talks to us about his reasons for writing about the thirties. I have always been fascinated by that grim twenty-one year stretch between the end of the First World War and the beginning of the Second, and especially by its downward curve – the 1930s. There are several reasons for this. One is straightforwardly personal. My father, born in 1921, was a teenager in the age of Ramsay Macdonald and Stanley Baldwin, and his accounts of what he got up to in a world where Friday night’s post choir-practice entertainment cost six old pence (piece of fish 2d, bag of chips 1d, bottle of lemonade 1d, five Park Drive cigarettes 2d) were a staple of my childhood. If this makes the living sound easy, then it should be pointed out that dad’s annual salary from the Norwich Union Insurance Co., since reinvented as Aviva, was a princely £45: 17s 6d a week, of which, once his mother had deducted his board and lodgings, he was allowed to keep half a crown. The second is the inter-war era’s peculiar significance as a self-contained chunk of English history. It was a period whose political and economic arrangements uncannily prefigure our own: a time of coalition governments, fiscal meltdown, constant reminders that the things one wanted, or in fact already possessed, would at some point have to be paid for. It was also an age of profound collective anxiety amounting to neurosis: one whose initial sense of exaltation (‘Apres la guerre’ promised a popular song of the day, ‘there’ll be a good time everywhere’) was always tempered by a memory of the horrors of 1914-18, and was eventually extinguished altogether by an awareness that they might soon be repeated on an even grander scale. Evelyn Waugh’s classic novel Vile Bodies, a faithful record of the extravagances of the late 1920s Mayfair set, was published as early on in the proceedings as 1930, but it ends apocalyptically on ‘the biggest battlefield in the history of the world.’ However marvellous the party, death and dereliction lay just around the corner. The third reason is the fact that the 1930s – the first surge of post-war enthusiasm all gone, the economy cracking up, millions of unemployed and the industrial north turned into a wasteland – also produced some of my very favourite novels: George Orwell’s A Clergyman’s Daughter (1935) and Keep the Aspidistra Flying (1936); two thirds of Patrick Hamilton’s London trilogy Twenty Thousand Streets Under the Sky (The Siege of Pleasure, 1932, and The Plains of Cement, 1934); the incredibly hard-boiled and noir-ish thrillers of James Curtis – see in particular The Gilt Kid (1937); and J.B. Priestley’s Angel Pavement (1930), in which the mysterious Mr Golspie descent on the moribund City firm of Twigg & Dersingham, fleeces it for all it is worth, and by the time the 500th page is in sight has the whole concern carted off to the bankruptcy court, leaving a trail of human misery in his wake. All these books have at least something to do with the James Ross mysteries – the first set (mostly) in Bayswater in 1931 and the second in Soho in 1933 – but their real inspiration is a writer whose creative primetime belongs to the decade that followed. Julian Maclaren-Ross (1912-1964) – you can see from his name how literal that inspiration was – is probably best remembered as the original of the novelist ‘X. Trapnel’ (author of Camel Ride to the Tomb, and the lost masterpiece, Profiles in String, its manuscript thrown in the Regent’s Park Canal by a vengeful mistress) in Anthony Powell’s 12-volume novel sequence A Dance to the Music of Time. In his not very extensive heyday he was a talent to be reckoned with, admired by Evelyn Waugh, and the author of at least one novel – 1947’s Of Love and Hunger – worthy to be rated as a modern classic. It is a flagrantly autobiographical work, based on the author’s experience of peddling vacuum cleaners door-to-door in Bognor Regis, and with the action transferred to London and the hero’s occupation changed to selling carpet-cleaning lotion, the model for ‘James Ross’s first outing, At the Chime of a City Clock. With a few minor exceptions from the fag-end of his career, Maclaren-Ross never wrote anything that could be classified as a mystery novel. 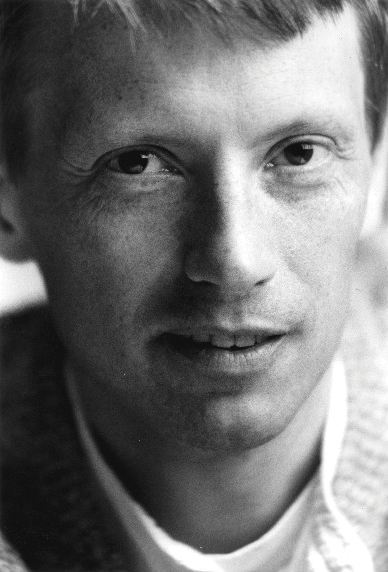 On the other hand, he specialises in the kind of character – largely based on himself – for whom a mystery novel offers a fertile background: the clever, decently educated but improvident and anxiety-bound chancer, permanently hard-up, hopeless about money and not overly scrupulous as to how he comes by it. Maclaren-Ross himself was the Soho bar-fly to end all Soho bar-fly’s (Paul Willetts’ remorseless 2003 biography, Fear and Loathing in Fitzrovia, offers full particulars) who, having spent the day boozing and holding forth in a variety of West One pubs and clubs, would head back to his bedsitter or cheap hotel room for an all-night amphetamine-driven writing session. Taking someone like this and setting him adrift in a landscape colonised by jewel thieves (At the Chime of a City Clock) or Sir Oswald Mosley’s Blackshirts (Secondhand Daylight) seemed to me a good way both of exploring the period and developing a kind of fictional hero with whom I’ve always been intrigued: the ground-down but ever hopeful opportunist, one step ahead of the bailiff but sustained by the conviction that tomorrow will bring a proper job, a new suit, unlimited cigarettes and access to the girl of his dreams. Girls – especially girls who are calculated not to do him any good – are James Ross’s weakness, and this, too, seems to me to be in keeping with the period through which he roams. The original Ross’s novels are awash with furtive love-affairs conducted in boarding house bedrooms in the aspidistra’s melancholy shade with the landlady straining at the keyhole, plein air frolics because there is ‘nowhere else to go.’ ‘Back then I was an optimist’ notes the narrator of ‘I’m Not Asking You to Buy’, one of Maclaren-Ross’s rueful vacuum cleaner stories, who has just been given the run-around by a wily old lady customer. For all his serial rebuffs by the ladies, his constant blackmailing’s at the hands of corrupt policemen and his habit of falling hook, line and sinker into situations that are way beyond his ability to control, James Ross is an optimist too. According to Charlotte Williams at The Bookseller Vintage has acquired the licence to publish Ian Fleming's James Bond titles across all formats including digital, reversing the decision made by Ian Fleming Publications 15 months ago to publish the e-books direct. For the first time for an author's backlist, Vintage will publish in both its Classic and standard paperback ranges. The full article can be found here. The Reuters article about it can also be found here. The debut novel of British screenwriter and creative writing lecturer Jenny Mayhew has been acquired by Hutchinson. The Wolf Man of Hindelheim is described as both a mystery and a love story. The story is set in a German village between the wars. When a baby girl goes missing from the home of the village doctor local police constable Theodore Hildebrandt arrives to investigate the mystery. The Wolf Man of Hindelheim is due to be published in March 2013. More news on the rights front! 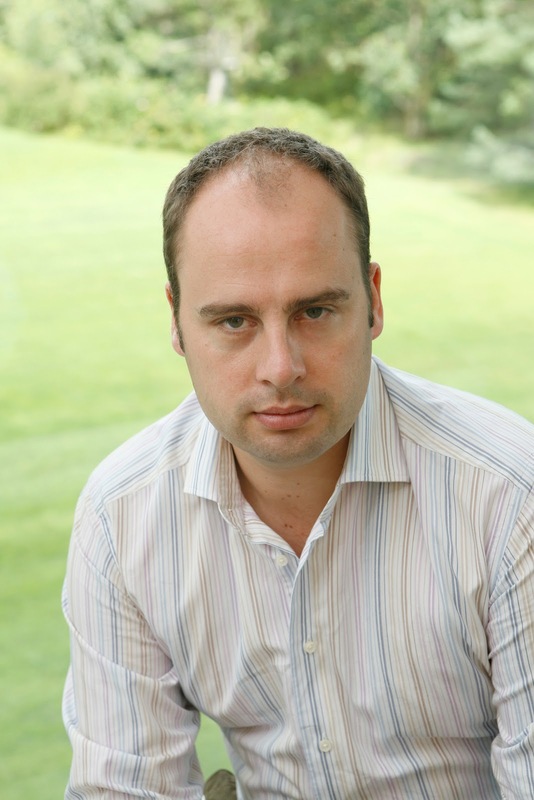 Harper Collins have scooped in a three book crime thriller deal the debut novel of former Metropolitan Police Officer Luke Delaney. 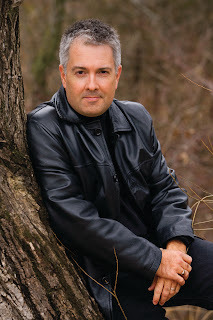 The first novel, Senseless, which features DI Sean Corrigan on the case of an unusually vicious murderer, will be published by Harper Collins in early 2013. Lloyd Shepherd whose debut novel The English Monster was published recently has had an interesting discussion lately with the discussion board Mobilism when he found a request for his novel to be pirated being circulated on the board. He decided to respond in an effort to try and understand why. It resulted in an article for the Guardian as he describes his parley with eBook pirates. So is Jo Nesbø the new Stieg Larsson? This was a question that he was asked recently at the New Zealand International Arts Festival. And his response? Characteristically it was one that those of us that have heard him talk before would have expected from him. So what exactly did he say? Apparently with the wryness that we have come to expect from him his response was "It could have been worse - I could have been the new Dan Brown.". Barry Forshaw’s article in the Independent on his new book The Phantom can be found here. The film of his book the Snowman is due to filmed shortly by Martin Scorsese. The Telegraph have got a list of 100 novels everyone should read. As can be expected there are not a large number of crime novels. Only thirteen by my calculations. I have to say that aside from that minor quibble, I was pleased to see a number of my favourite non-crime books on the list. The first and foremost being Things Fall Apart by Chinua Achebe, The Hitchhiker’s Guide to the Galaxy by Douglas Adams, Alice’s Adventures in Wonderland by Lewis Carroll, Beloved by Toni Morrison and Pride and Prejudice by Jane Austen to name a few. The nominees for the 2011 Strand Critics Awards have been announced by The Strand Magazine for books published during 2011. Recognizing excellence in the field of mystery fiction, the nominees have been judged by, and winners selected from, book reviewers from the nation's top daily newspapers as well as Andrew F. Gulli, Managing Editor of the magazine and announced on July 11th, 2012 in New York City. 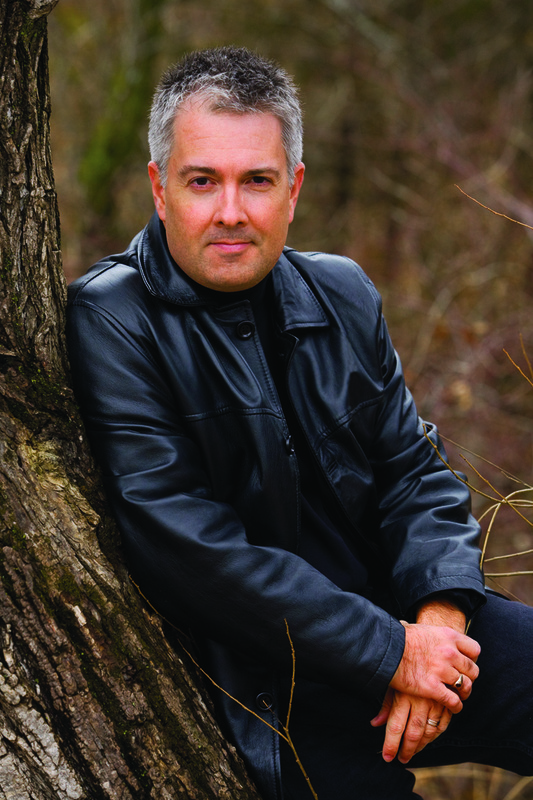 This is the fourth time that Michael Connelly has been nominated but the first time for the others in the Best Novel category. Lifetime Achievement awards are being given to Joseph Wambaugh and John Sandford. The awards will be presented at an invitation-only cocktail party, hosted by The Strand on July 11, 2012, in New York City. 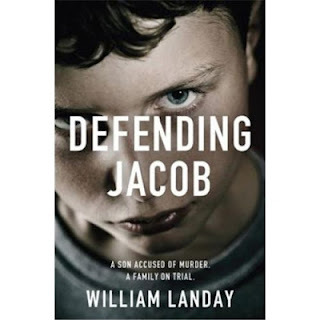 According to the Hollywood Reporter, Warner Bros have optioned the film rights for William Landay’s novel Defending Jacob. 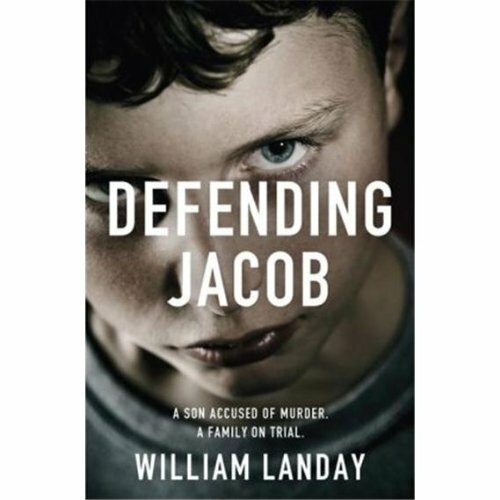 It is a shame they have not realized that Defending Jacob is not his debut novel but in fact his third. 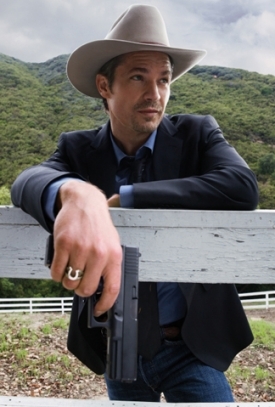 His first, Mission Flats, won in 2003 the prestigious CWA New Blood Dagger Award. Bloody Scotland which is due to take place between 14th and 16th September 2012 have announced a crime fiction short story competition for budding writers. Glengoyne Highland Single Malt is sponsoring a short story writing competition as part of Bloody Scotland. With the aim of discovering the next big name in crime fiction, the competition gives you the opportunity to be published in an ebook anthology of short crime stories entitled Worth The Wait. Entries may be submitted now through June 29th, 2012. Stories must be original (not previously published), in English, and may not exceed 3000 words. Entrants must be 18 years of age or older and there are no restrictions on country of residence (though an entry fee of £10 or the local equivalent is required). See the competition page on the festival website for all the details. ITV have commissioned a new series of Morse prequel Endeavour. There will be 4x 120 minute episodes. According to the press release from ITV it follows the well-received response to the recent one-off Inspector Morse prequel Endeavour. Once again Morse author Colin Dexter will act as consultant. Filming will take place in Oxford later on this year. Fans of Karin Slaughter’s Grant County series will be pleased to hear that according to Deadline.com Entertainment One and Piller/Segan/Shepherd, partners on the Syfy series Haven, are re-teaming for another drama series project. The two companies have acquired the TV rights to best-selling author Karin Slaughter’s Grant County series of 6 books featuring the popular character Sara Linton. The project will go into development immediately, with Slaughter co-writing the pilot script with Piller/Segan/Shepherd principal Scott Shepherd. Sometime ago Shotsmag Confidential blogged about the City University London establishing a dedicated MA course in Crime Writing. Things have moved on since then and they have now listed some of the authors that will be guest lecturing. The authors are, Mark Billingham, Natasha Cooper, Barry Forshaw, Sophie Hannah, John Harvey, Cathi Unsworth, Dan Waddell and Laura Wilson. That Stieg Larsson just won’t go away. Maclehose Press have published (with an introduction by Tariq Ali) The Expo Files: And Other Articles by the Crusading Journalist. The Expo Files is a collection of essays and articles on right-wing extremism and racism, violence against women and women’s rights, homophobia and honour killing. The Expo Files is due to be published in April 2012. It seems to be a step back in time as Vintage publishing acquiring exclusive English-language rights to the 14 Bond novels in worldwide, excluding US and Canada, for a 10-year period. Vintage takes over the print rights from Penguin, which never held the digital rights, a scenario which saw Ian Fleming Publications release the e-books itself in late 2010. 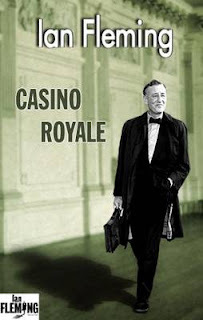 I say a step back in time as Jonathan Cape, Vintage's sister imprint, was the first publisher of Bond, starting with Casino Royale in 1953. Vintage will publish in both its Classic and standard paperback ranges. Penguin released the Bond series with very striking covers, and I wonder whether or not Vintage will go back to the old style covers or come out with something new. 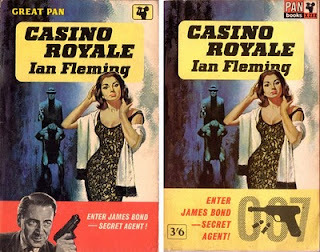 ﻿ The Pan covers were very striking as you can see even from the two versions of Casino Royale below. Corinne Turner from IFP said the company looked at the decision to include the e-book rights this time around "very carefully". She said: "When we were launching e-books in the UK ourselves, we were never saying we would keep e-book rights locked away forever. To look after Fleming in the current market, you need to have the full rights to manage the brand." 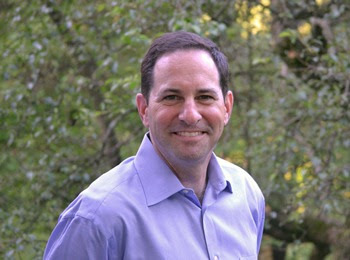 Curtis Brown agent Jonny Geller, who handled the deal, added: "We didn't have any problem rolling the e-book rights back in—it shows publishers have moved on, and have a lot to offer." This year marks the 50th anniversary of the first Bond film, "Dr No". 2012 will also see the release of "Skyfall" the 23rd in the series with Daniel Craig back as Bond. But looking at this photo, Craig doesn't look a happy bunny whilst filming on location. I don't know about shaken not stirred, more like gone through the ringer! Today’s guest blog is by American film and television producer, screenwriter, composer and author Noah Hawley. 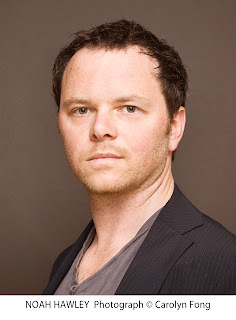 He wrote and produced the television series Bones (2005-present). He is also the author of three previous novels. 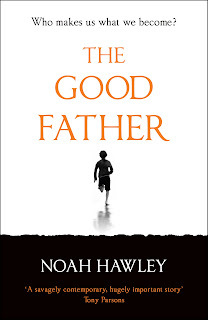 His most recent novel The Good Father is published today. He kindly took time out whilst at the SXSW music festival in Austin, Texas to give us an insight into his new novel. The Good Father is an intense, psychological novel about one doctor's suspense-filled quest to unlock the mind of a suspected political assassin: his twenty-year old son. The day your television show premieres is an event - if only because that night when you turn on the TV your show is on TV. And in the morning there are ratings and you know how you did. Same with a movie. On its release date the film is in the theatre and by Monday you know if you will sink or swim. That's not the case with a novel. First, because the publication date is more of a suggestion. The book can be in stores a few days before or a few days after. But also because, well, books are not movies or TV shows. They play a far smaller role in our culture than they once did, mainly because they require a bigger commitment of time and focus. It takes days to read a book, sometimes weeks. Often we wait till we're done with the book we're reading before we buy a new one. And so the success of a book cannot be judged by how it does in the first week or even the first month. You have to be patient. With movies there are tracking numbers. In TV you have awareness numbers and intent to view numbers. So going into your release the studios have a pretty clear idea of whether the film or TV show will be a hit. With books all you know is how many copies the stores have ordered, but this number is illusory, because stores can return the books at any time with no cost to themselves. So in publishing there is always that feeling, the waiting for the other shoe to drop feeling. 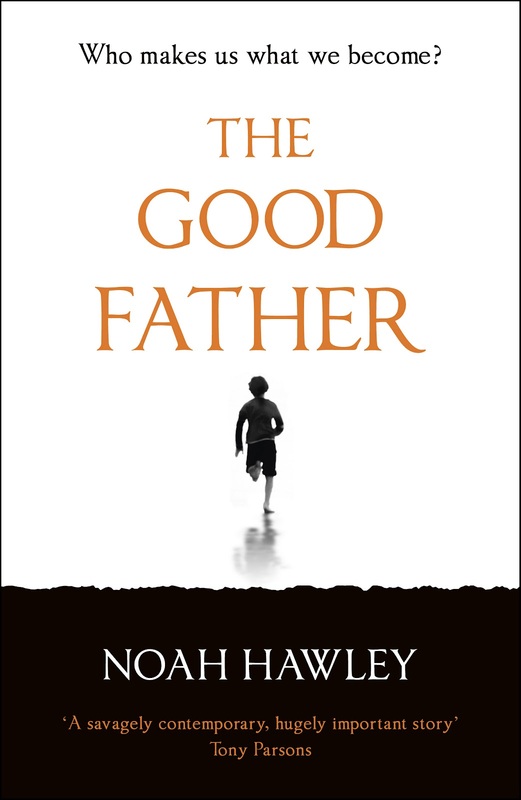 Which is my way of saying my new book, The Good Father, is coming out on March and I have no idea what to expect. Which is unsettling. At the same time, my last TV show, My Generation, was cancelled after two episodes, and that is something that doesn't happen in publishing - they don't un-release your book if it's not selling. It stays in the stores, waiting to be discovered. So that's better at least. The book is my fourth, and was written in two long stretches. The first half I completed while I waited to see if my first TV show, The Unusuals, would be picked up by ABC. The second half written after that show ended and before the next began. All in all a four year span, exactly mirroring the life of my daughter. Which is where the book started, with my wife pregnant and me wondering who this little girl would grow up to be. What kind of person? Which is, I discovered, a unifying act of parents everywhere, this fear - let's call it a fear - that our children, despite our best efforts, will turn out spoiled or damaged. And from this fear came the idea for the book - about a father whose son is accused of a terrible crime and his journey to a) prove his son innocent and b) try to figure out where he might have gone wrong as a parent. A thriller, in other words, but an emotional one, concerned more with real life than with nail biting Hollywood endings. accused of murder. And because there seemed to be an archetype - that of the twenty something lone gunman, cast out by society and desperate to trying make themselves visible, meaningful, through one powerful act - that loomed over the history of this country. Who were these young men, and why did they succumb to the gravitational pull of historic violence? enough to have the luxury of choice when it comes to choosing the medium for a story. And with each idea I have the question becomes, what form should it take? Movies are inherently visual, and as mediums go they are verbs, in that they are action driven, not in the sense of action movies, but in the sense that in movies you need to get to the point quickly and stick to it. There is little room in modern movies to meditate on character or theme (unless you're Terrence Malick), except as it colours the underlying action of the story. TV shows are serialized and designed to run over a period of years, week in, week out. They are open ended, constantly delaying their conclusion. A closed ended story, like that of a father trying to prove his son's innocence or come to terms with his guilt is not a story from which you can get 100 hours of television. But most importantly, the story wanted to be a book, because in addition to the main action of the father's journey, there was so much to say about all the characters and the themes that this story engendered. Which is the beauty of a book. While it is, at heart, a form of entertainment, it offers writers a unique opportunity to expand the potentials of a story, to turn thought into story, to blend fiction and non-fiction, to contemplate complicated ideas in a dramatic fashion. And so now, four years later my daughter is in preschool, and doing well. And this novel, that started with a worried father-to-be's sleepless night, is being published. Unlike a film or television show, the final verdict on its commercial or cultural success may take a while to realize. But at the end of the day, all any writer can do is write the book. It's up to you to do the rest. More information about Noah can be found on his website. 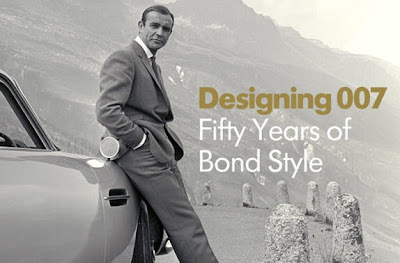 I have always been a sucker for the James Bond franchaise and was pleased to find out that between 6 July - 5 Sep 2012, London's Barbican marks the 50th anniversary of James Bond with a unique exhibition showcasing the inside story of how design and style combined to create the world’s most influential and iconic movie brand. 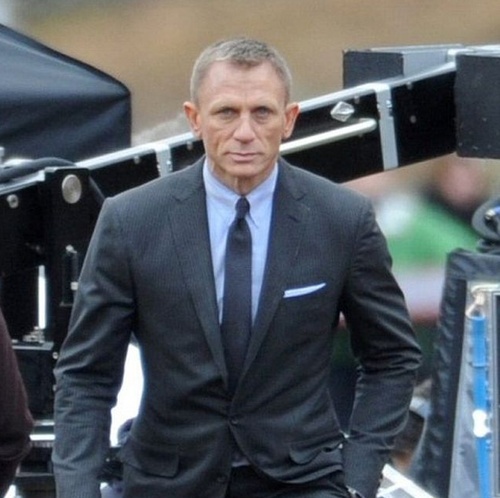 Designing 007 will transform Barbican spaces including The Curve and The Pit in a multi-sensory experience where screen icons, costumes, production design, automobiles, gadgets, special effects, graphic design, exotic locations, weapons, stunts and props combine to immerse the audience in the creation and development of Bond style over its auspicious 50 year history. "No, Mr Stotter, I expect you to drool." Over in the website, Walter Sattherthwait recently wrote an appeciation of Ross Macdonald. Could Hollywood have been reading our website? Word reaches me that Warner Bros and Silver Pictures have set Peter Landesman to adapt The Galton Case, one of the titles in the Ross Macdonald mystery series about private detective Lew Archer. Landesman will look to reinvent the mystery series as Silver Pictures tries to launch a franchise. The series was previously turned into two movies; Paul Newman played Archer in the 1966 Warner Bros film Harper and 1975 film The Drowning Pool. 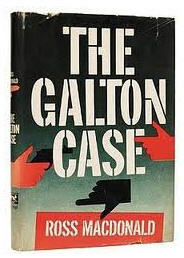 The 1959 novel The Galton Case was the eighth book in the series. In The Galton Case, Archer is hired to track down the lost heir to the Galton fortune. His path leads him through a trail of murder, deception and a tangle of secrets. To date there has been no actor linked to play Archer, but keep 'em peeled. 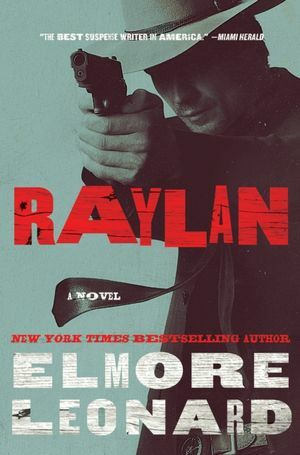 Meanwhile, if you can't get enough of the US Marshal's antics, then get a copy of Leonard's new novel Raylan (Orion UK). Those of you that regularly attend St Hilda’s Crime and Mystery Conference that takes place every year at St Hilda’s College in Oxford will know Eileen Roberts. She has passed on the following information regarding the forthcoming Oxford Literary Festival. Two of our Mystery & Crime Weekend stars, Simon Brett and Sophie Hannah, will be contributors at the Oxford Literary Festival this year. The details are below and I do hope to see you there - I will be chairing their session. This will be the second in the series, following PD James defending Agatha & Jill Paton Walsh, Dorothy L., which was a sell-out last year! As a sampler of the celebrated Mystery and Crime Weekend held every August at St Hilda's College, crime-writing stars and Crime Weekend regulars Sophie Hannah and Simon Brett respectively defend the 'dark and twisted' new school and the cosy old school of murder mysteries. Booking is now open for 300 events, 24 March-1 April 2012, on www.oxfordliteraryfestival.org Search 'Hilda' on www.oxfordliteraryfestival.org for full details of St Hilda's events (including Simon and Sophie's). Alternately booking on 0870 343 1001 and quoting 'St Hilda's' for will get you a 10% discount! It seems as there is a glut of short story competitions on the go. Yesterday, Ayo reported on a collaboration between Faber and Faber publishers and Stylist Magazine. Today, I have had an email from Bloombsury Publishing who, in association with the Writers and Artists Yearbook, is launching their challenge to writers to create a crime story in a 1000 words or less. Every other month one of Bloomsbury's Crime authors will be laying down the creative gauntlet with an original short story thus setting the theme for that month. Then it's over to you, the British public, to do your worst. Criminally speaking of course! Every other month, we will chose ONE winner and their story will be featured on the Short Sentence website. Once the competition has closed all the winning stories will be published as a Short Sentence eBook along with the Featured Authors' stories. This will be available for free from all online book retailers. Each winner will also receive a Day Rover ticket to the Theakston's Old Peculiar Crime Writing Festival in Harrogate (2013) and a selection of Bloomsbury books. Four Runners up will receive a selection of Bloomsbury books. We will announce OVERALL WINNER during National Short Story Week in November 2012. The overall winner will win a place at the Writers and Artists Yearbook conference for 2013 and a Weekend Rover Ticket for the Theakston's Old Peculiar Crime Writing Festival in Harrogate (2103). The competition launches with a short story from debut crime author Parker Bilal, author of The Golden Scales, on the theme of DECEPTION. Rules and details of how to enter are on the website - http://www.shortsentence.co.uk/ So all you budding writers out there, no more excuses, get writing! And talking of an ex-Bloomsbury writer, J.K. ROWLING has gone over to the dark side, well Little Brown really, for her next book. "Although I've enjoyed writing it every bit as much, my next book will be very different to the Harry Potter series, which has been published so brilliantly by Bloomsbury and my other publishers around the world," she said. There were rumours going around last year that she would be writing a crime book. Perhaps her next door neighbour, Ian Rankin might have something to do with it (if it's true, of course)? HENRY SUTTON's new book has been bought by Harvill Secker. The Daily Mirror books editor Henry Sutton, has sold a crime novel which features a fictional crime writer, David Slavitt, at its centre. My Criminal World will be publish in 2013. The story focuses on struggling crime wrtier Slavitt, whose agent insists his new book needs more blood and guts. Interspersed with Slavitt's story are extracts from the crime story he is writing, which get more and more violent as the story progresses; the extracts will be published as a separate e-book. And in case you thought I had forgotten World Book Day, those jolly nice people at Goldsboro are giving away books - well, not exactly but with a 20% discount off all orders from stock items for one day, 1st March 2012. Place your order on their website on the 1st March 2012 and all books that are published and in stock (not pre-orders -unpublished titles) are availble to buy using coupon code WBD2012 and you will get 20% off. This doesn't include postage and can not be used with any other discount. To be shown in 2012, Sky Atlantic is proud to announce the production of a four-part crime drama, set in Seville and based on Robert Wilson's bestselling novels .Javier Falcón is a Chief Inspector in the Seville police, a brilliant detective whose personal and professional life is compromised by dark secrets from the past in this ambitious and complex new series. The first story to be adapted is The Blind Man of Seville, which follows Falcón‘s investigation into a brutal killing which stirs long forgotten memories. As Falcón investigates the crime, and finds himself drawn to the widow of the victim, he discovers the secret truth about his artist father’s violent history in Tangier and the Spanish Civil War. The second story to be adapted is The Silent and the Damned, in which a double suicide takes Falcón to an exclusive area of Seville where wealthy neighbours keep their secrets well hidden and there’s more in the freezer than just food. The role of Javier Falcón, a Chief Inspector in the Seville police, will be played by Marton Csokas, best known as Elven Lord Celeborn in Peter Jackson’s Lord of the Rings trilogy Joining Csokas in FALCÓN: The Blind Man Of Seville are Charlie Creed-Miles (The Fifth Element, Harry Brown) as Ramirez, Falcón’s deputy in the Seville Police and Hayley Atwell (Captain America, Any Human Heart) as Consuelo Jimenez, the widow of a murder victim who may also be the number one suspect. Emilia Fox (Silent Witness, The Pianist) will play Ines, the estranged wife of Falcón, whilst Kerry Fox (Cloudstreet, Shallow Grave) is his sister, Manuela. Veteran actor Bernard Hill (Titanic, The Lord of The Rings) takes the role of Ramon Salgado, wealthy art dealer and friend of Falcón’s father, the renowned, but now deceased artist Francisco Falcón. 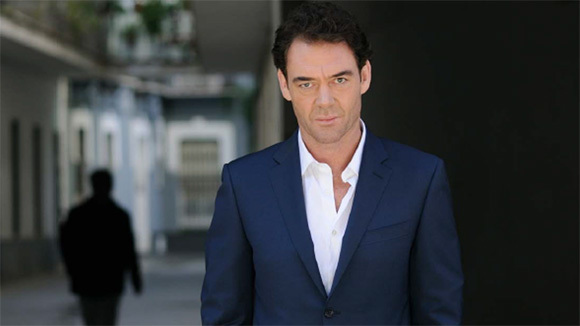 Santiago Cabrerra (Merlin, Heroes) will play Judge Esteban Calderon.